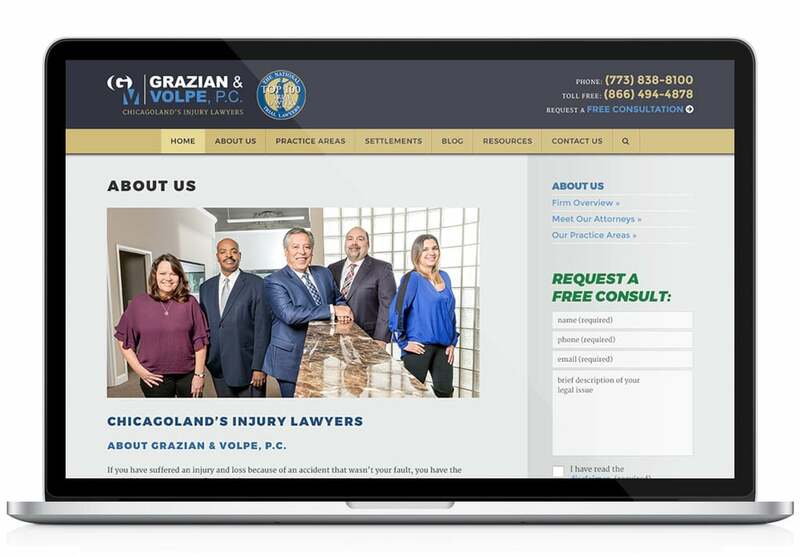 Grazian & Volpe, P.C. 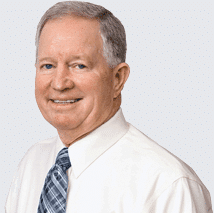 is a TOP-RATED personal injury law firm located in Chicago, Illinois. They’ve won multiple awards, most notable being named a Top 10% Law Firm in the USA by Lawyers of Distinction, and in the Top 100 Trial Lawyers by The National Trial Lawyers organization. More importantly they’ve won tens of millions of dollars for their clients, who they truly care about and fight for. They are known for providing small firm service with big firm results. This was the second website we designed and developed for Grazian & Volpe. Both were developed in WordPress using fully custom themes, and we’ve been providing search engine optimization/SEO services to them for over five years – delivering a steady stream of qualified leads. 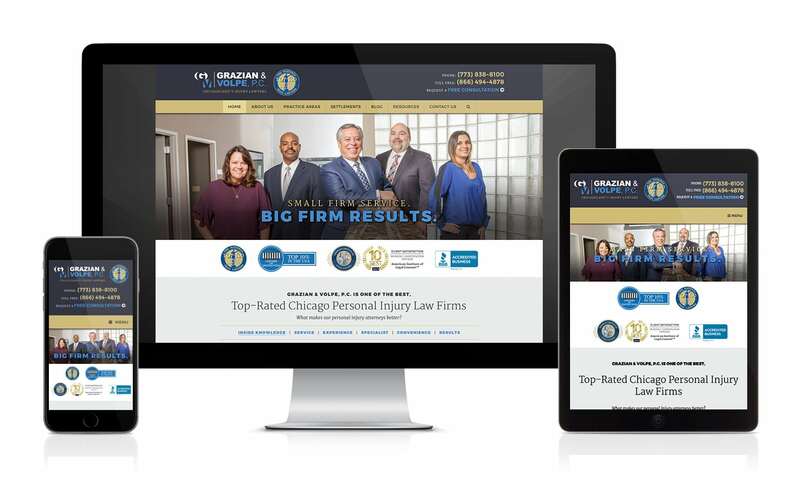 The new website features a sticky header for convenient navigation, multiple homepage sliders – one that describes why G&V is better than their competition, another introducing their attorneys, and one for client testimonials. A practice areas section has been added to the home page, and professional photography was taken for the new site.